The choice between buying a home and renting one is a big decision to make. There are many advantages to buying a home rather than renting one. There are also considerations that you should think about. If you are unsure which option is best for you, I can run a quick comparison and give you the information and guidance you need to make this big decision. For the second time in three months the Federal Reserve raised its benchmark interest rate. However, our outlook remains positive! Barring economic setbacks, this rate hike will likely be followed by additional rounds of increases throughout the year. Even with the Fed’s recent decisions, housing affordability remains high and mortgage applications continue to rise. Interest rates are still low by historical standards - and are not expected to rise substantially in the near future. Now may be a good time to consider a new home purchase. With a variety of programs available I can help you find the one that is right for you. 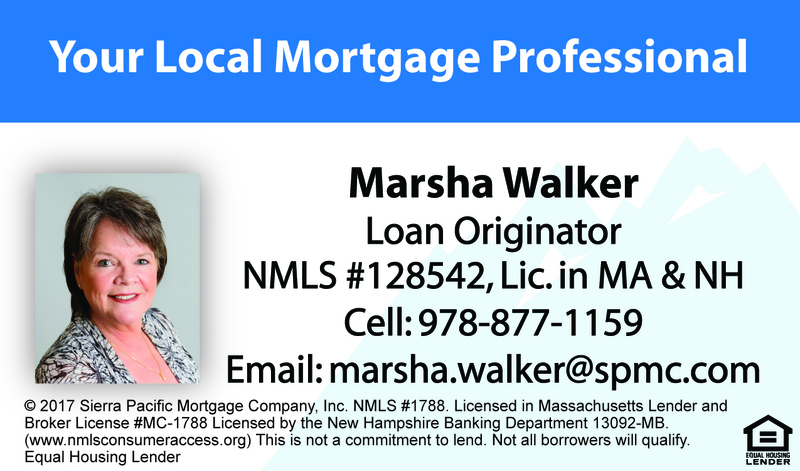 Perhaps you have an existing mortgage and would like to explore a refinance to one with a better term or switch from an adjustable rate mortgage to one with a fixed rate. Other options may include taking cash-out of your equity to consolidate debt, update your home, or even pay off debt. In either situation I am available to discuss your options with you. Please contact me at your earliest convenience to start exploring possibilities! Yes - Unfortunately this can happen just as you thought everything was good to go and you were moving on with your home sale! We all get excited - including your Real Estate Agent. When an Offer comes in that you accept - faces light up with joy as we know it's the next step to getting your home sold and you moving onto your new adventure! However - things do happen. A common reason for a deal to fall through is a home inspection not up to par with what the seller was hoping. Maybe it was a major fix that needed to be done or something small - but either way the deal fell through. Does this mean your home won't sell? ABSOLUTELY NOT! The Blood Team has seen this happen a few times before. What does it mean to the Blood Team Realty Group when a Buyer walks away after a home inspection? Re-market! Get your house back out there in front of even more potential buyers. This does not discourage us - it pushes us even more. 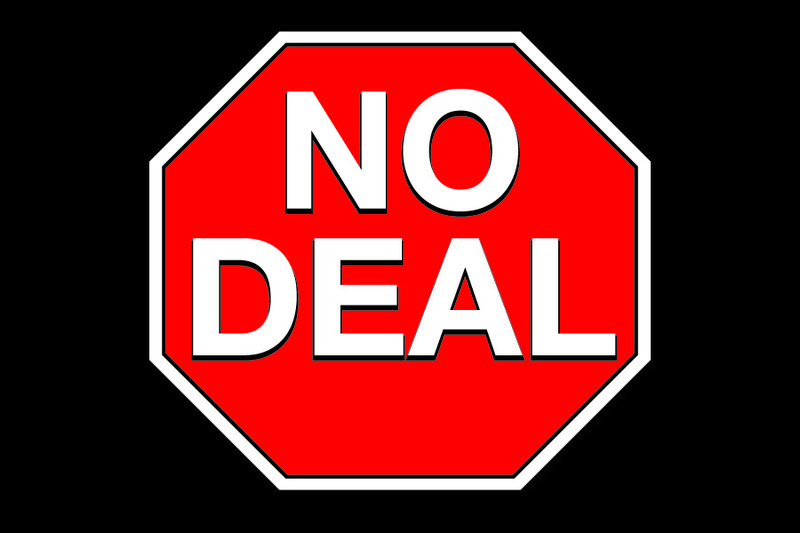 We do have to disclose if asked - why the previous offer fell through - but that is where you can come in and help! If the inspection came back that something major needs to be fixed - lets get it fixed! We don't want to lose another future buyer for an issue we now know about. If the inspection came back good - with something minor, it may not be necessary to fix, but will have to be disclosed. Straighten out your bills & utilities: Be sure to update your address on everything if you have not already (Go to your local post office and fill out a change-of-address form, or do it online at usps.gov. ). You will also want to call right away to setup and or transfer utilities of your new place into your name. Get to know your local shops: Everyone is always in need of common essentials such as food, household items, tools, etc. Your local stores are a great place to be able to pick up quick needed essentials. 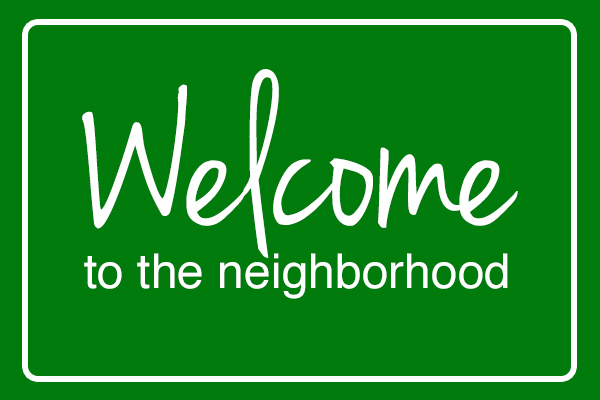 Time to meet your neighbors: Knowing who is living to the right or left of you can be a really big game changer when it comes to feeling at home in your new place. Finding another family with kids if you have some could be a great start for your children as well. Your neighbors will also be a great help in knowing the “hot spots” around town. Online Research: Nowadays most towns / communities have a designated website, blog and or facebook page. These are a great way to find out local events happening near by. Dine Locally: Enjoying a nice meal at a local restaurant or finding the best coffee shop in town is another great way to meet people and get to know your new neighborhood. Volunteer: Volunteering for local events is a great way to get grounded into the neighborhood and meet new people. This can also be a great way to meet people who have similar interests as you. Expand your guest list: Have a new friend or group of friends and planning a get together? Be sure to let them know to extend the invite to their friends. This is a quick and great way to meet new people and expend your circle. We want to send a huge thank you to all those who chose to spend their thursday night with the Blood Team learning about the Home Buying Process. We truly hope you all left feeling much more knowledgeable about the process as we know it can be a stressful one. While those who chose to come last night may only walk away with the knowledge we shared and may end up not choosing us at their agent to represent them, we still feel that we have helped in some way. 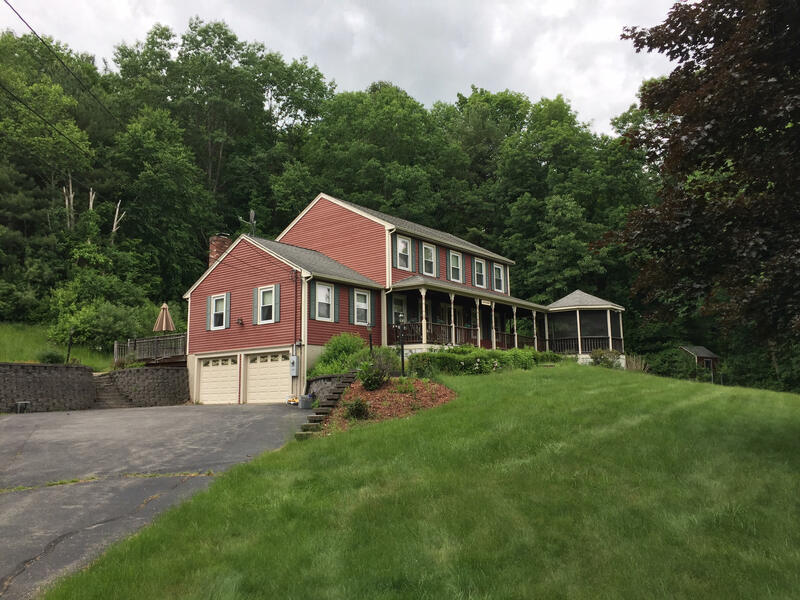 Being able to educate and make sure that these future buyers know what to expect, understand how the process goes from a to z, and giving them confidence about moving forward in the process is what it is all about. So again - a HUGE Thank you to all that came because without you participating and being eager to learn about the Home Buying Process this event would not have been such a success. 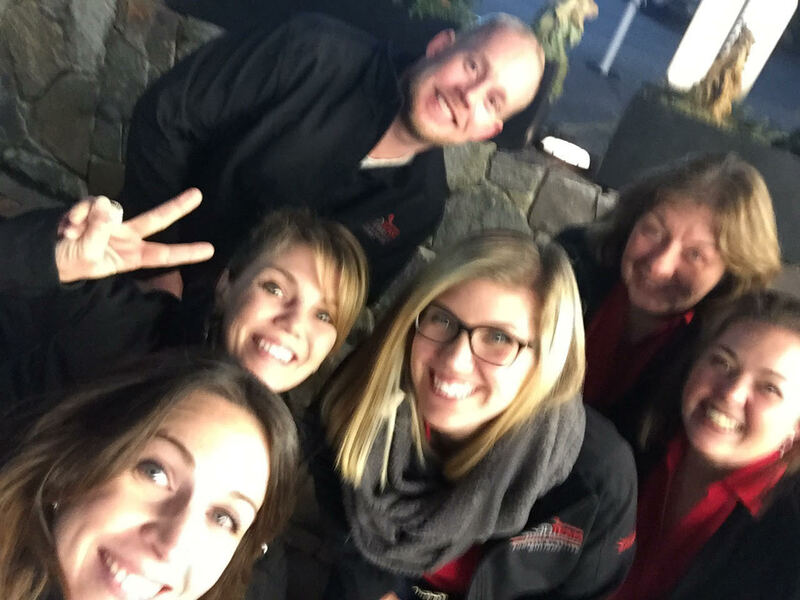 Last thursday night the Blood Team Realty Group hit the streets of Boston. Without a doubt this was a well deserved night out as a team for a team building event followed by dinner. 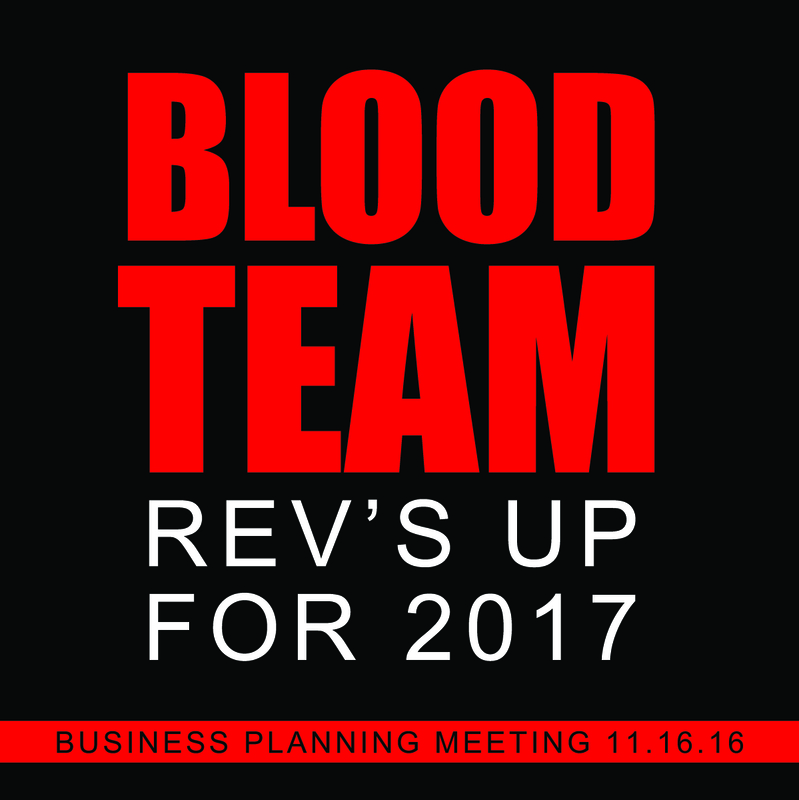 As a new goal for 2017 the Blood Team will be doing Team Building events every quarter. We want to make sure we are always reconnecting, other than just at the office, growing our communication and teamwork in other ways that we normally would not think of. While walking through Boston, you would have seen us sporting our new Blood Team Apparel (Polo's and Jackets) that Jay Antonetti owner of JA Sports Apparel did for us - Thank you Jay, these came out awesome and we certainly looked sharp! 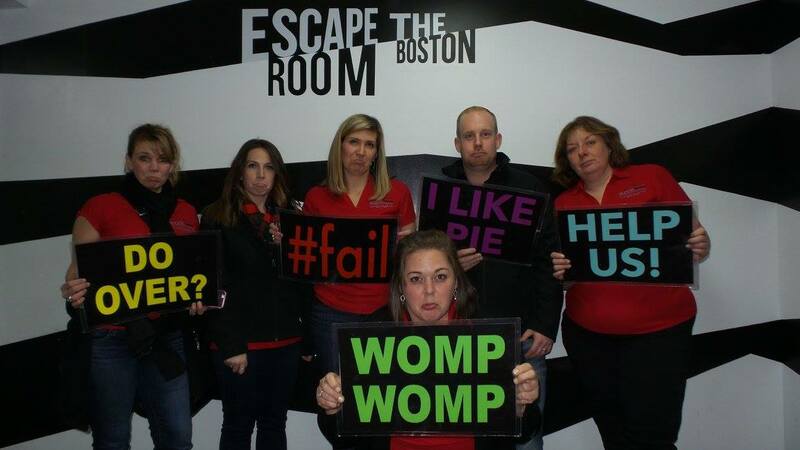 For our team building event we went to Escape the Room Boston located at 33 West St Boston, Massachusetts. The Escape the Room is a fun, interactive game taking place in Boston. While it looks like any other ordinary room, it’s actually a mystery puzzle. You have to find the hidden objects, figure out the clues and solve the puzzles to earn your freedom and “Escape the Room.” and you only have 60 minutes! While we did not "Escape the Room", we still proved that our teamwork is strong. We all worked together, communicated strongly and never gave up. WOW - we surely shared some great laughs - and we are sure the crew watching us did too! 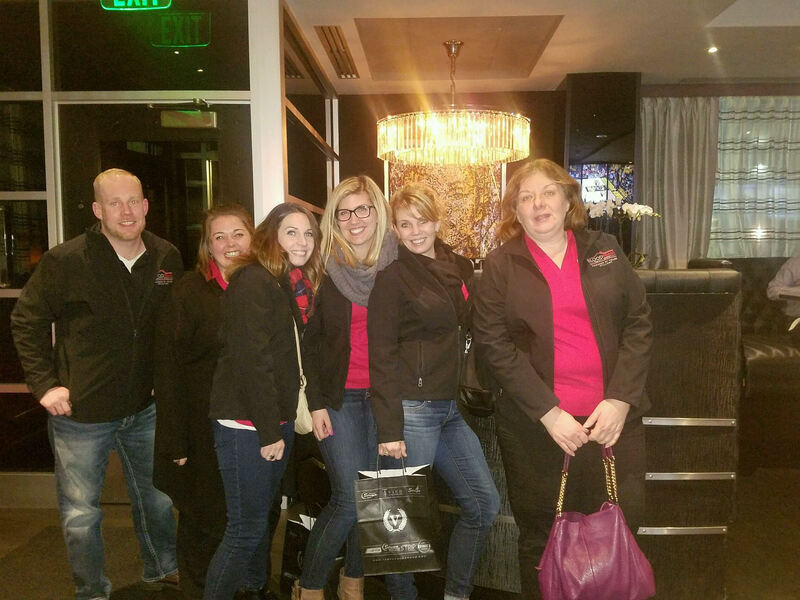 Following our Team Building Event we had a wonderful dinner at Strega Prime Italian Steakhouse. The atmosphere was very mellow featuring low lighting and a classic touch. We started off with a specialty drink/glass of wine for each of us. The drinks were fantastic but the favorite at the table was a recommended pear martini. We had 3 appetizers we all shared along with an individual meal for each of us. Grilled Asparagus, whipped Yukon potatoes and Mac and cheese were the three starters. All were a hit but the Grilled Asparagus was the favorite. Appetizers were followed by Lobster Bisque, Chicken Piccata, Iceberg Applewood Bacon Salad & New York Strip Steak.We won't lie we were a little bad and indulged in some tasty desserts like Crème Brûlée, Chocolate Cake and Tiramisu. The food was delicious! What an evening - Can't wait for our next event! We are so excited to announce that Our Client Appreciation Truck is here! We are so excited to be able to offer this additional service to our buyers and sellers. Without our wonderful clients, this wouldn't be possible! We want to thank you for all your support and trust in the Blood Team! A huge thank you to Mike from Shirts & Signs in Pepperell MA for doing an outstanding job wrapping the moving truck for us! BUY OR SELL WITH US AND USE THIS TRUCK FOR FREE!! In the Real Estate Industry you must always be checking on yourselves. How you are performing individually and as a team. We gathered last month for our 2017 Business Planning Meeting. We racked our brains and come up with a plan on how we can grow our business in 2017. We went over the greats of 2016 and even the not so greats. Pointing out our not so greats is a big key to making 2017 a better year for the Blood Team while also taking our greats and making them greater! Not only was this about our business but it was about our clients as well. What can we do to better serve them? How can we show them our gratitude even more - because lets be honest, they are what makes our job possible and so enjoyable. We hope you enjoy our mini video from our 2017 Business Planning Meeting!